A Lasagna in Tofuland: An Italian-American girl from New Jersey finds herself in L.A. with her goombahness intact. Recipes, stories. Great style. Bleedingespresso: An American from Pennsylvania moves to her ancestral village in Calabria and falls in love with Southern Italy. Great seasonal recipes. Lots of atmosphere. Briciole: A woman from Perugia blogs about the origins of Italian words that are related to food. 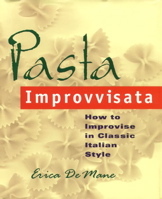 A great place to go for Italian food history and recipes, and it’s written in English. BuonItalia: A good source for salt-packed Sicilian capers and anchovies, regional oils, Setaro artisanal pastas from Naples, and other fine Italian specialty items. City Harvest: Collecting unused food from New York restaurants and stores to donate to the hungry. 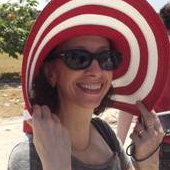 Carolegbert: This Vermont blogger will soon be posting food blogs from the beautiful city of Ortigia, Sicily, so all you Sicilian food fans, please check her out. De-Vino Wine Boutique: Gabrio Tosti di Valminuta knows his wines from all over Italy, and you’ll make discoveries either at his store at 30 Clinton Street in Manhattan or at his website. DiPalo: The best Italian cheese shop in Manhattan. 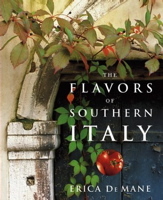 Divinacucina: ‘Diva’ writes of food and life in Tuscany, with especially interesting posts about the food markets of Tuscany. Finding La Dolce Vita: An Italian-American writes about food, family, and memories. Lovely, traditional recipes. Foodmaven: Arthur Schwartz’s site for great New York food news and recipes, plus the culinary vacations he offers in Southern Italy. Gustiamo: An Internet purveyor of highest-quality Italian imports, including extra-virgin olive oils from around Italy. Heritage Radio Network: Online radio programming devoted to sustainable food issues and cooking. Inmamaskitchen.com: A site that celebrates home cooking and includes many recipes for Italian dishes. Italiamerica: A site dedicated to Southern Italian-Americans and their history. It also provides help for Italian-Americans seeking dual citizenship. Italian American Museum: Opened in 2001 in the old Banca Stabile building in Little Italy, this charming space is dedicated to documenting the myriad contributions made by Italian-Americans to the United States. Excellent changing exhibits and readings. Italianfood.about.com: About.com’s guide to Web sites concerned with Italian cooking. L’osso e la Lisca: Beautiful, contemporary Italian recipes. Written in Italian. LucullianDelights: A Swede living in Tuscany creates great Italian-inspired recipes with an emphasis on health and seasonal cooking. MagnaGrece: A blog devoted to all things Southern Italian, written in English. Mondosapore: A great blog about Italian wine, written in English and Italian. Novena: A site devoted to the lives of the Saints, with beautiful artwork and devotional prayers, and a monthly feast day recipe written by me. Prouditaliancook: Beautiful photos and a great, improvisational attitude toward Italian cooking. Ravidà: The site for Ravidà olive oil, my favorite Sicilian oil, family-owned and estate-bottled. The site includes the history of the family and its oil and information about Sicilian cooking classes, olive oil tastings, and lodgings. Sauté Wednesday: A fine food Weblog that offers a comprehensive guide to culinary Web sites. Seeds from Italy: Seeds for unusual and heirloom fruits and vegetables from all over Italy, available in the United States. Vino Italian Wine and Spirits: An excellent New York wine store that emphasizes Southern Italian regionals and offers classes. Volpetti: The best cheese and salumi shop in Rome, located in the Testaccio. Zingerman’s: A great source for fine imported Italian olive oils and other hard-to-find gourmet items, including Martelli and Rustichella pasta. I’m just starting to get together a list of my favorite diet links and blogs and they’ll be up shortly. Rural Italy is turning more and more admired with tourists. Tuscany is particularly eye-catching with hilly and mountainous territory in much of the area. There are beautiful valleys too and interesting Tuscan farm houses. Adored the post. Are you doing any new years resolution this year? Mine is to stop smoking and lose all this weight I have gained this month lol. I read your blog, and I’m very inpressive about it. Since you have a link page, and I have my own blog about recipes and food review, is there any chance to make exchange link between your and my blog at http://sambalterasi.com ? Took me time to read all the comments, but I seriously enjoyed the post. It proved to become Pretty useful to me and I’m sure to all the commenters right here It is always great when you can not only be informed, but also entertained I’m certain you had fun writing this write-up. In response to the question about diet and nutrition site links, Dietude is a good one in my opinion! you have to manually code with HTML. I’m starting a blog soon but have no coding experience so I wanted to get advice from someone with experience. Any help would be greatly appreciated! Everything iis very open with a precise explanation of the issues. to see new stuff on your web site. page regularly, if so afterward you will absolutely take nice knowledge. Appreciate this post. Will tryy it out. Do you have anyy tops aand hints for first-time blog writers? pretty worth enough for me. In mmy view, if all werbmasters and bloggers made good content as you did, the internet will be much more useful thzn ever before. distribution systemm and the cooking grids. s 2B-S2S1P-62 FIRE MAGIC MONARCH PORTABLE GAS GRILL. You’ve made a variety of nice points here. I see something truly special in this website. associated with traditional cigarettes. E liquid is a component found in the internal parts of the electronic cigarettes. My quest to quitting smoking has been one heck of a ride with huge success so far. I simply wanted to thank you a lot more for your incredible website you have developed here. really interested in this specific subject, mainly this post. Definitely consider that which you stated. Your favorite justification seemed to be on the web the simplest factor to take into account of. the entire thing without having side effect , other folks could take a signal. You ll be one of the ease of use it offers. There’s a lot of hype. smart marketing machine enough to know a little bit. For the last upsell is a mess. to simply empty your wallet and spend money for that. topic or did you customize it yourself? Anyway stay up the excellent quality writing, it’s uncommon to see a great weblog like this one today.. The Hangover star has topped Men’s Fitness magazine’s list of the 25 fittest guys on earth. your body subsequently enters the fat burning zone quicker. Veggies are an excellent source of vitamins and fiber. After looking over a handful of the blog articles on your web site, I seriously appreciate your way of writing a blog. water as recommended, thdy work much better than if I drink soda or something else when taking them. which are traced to a weakened immune system. is genuinely fruitful in favor of me, keep up posting such content. Јe peux Ԁire que ce n’еst pas incohéгent !!! Est-іl possible de vous reprendre quelques pargrapheѕ pour mߋn site internet personnel ?